New picture books for 2-6 year olds released in the past month. Reading to preschoolers is very revealing when you are reviewing picture books. They either love them and engage with the reader or start to wriggle and wiggle. The genre of picture books really does rely on the talent of the illustrator and the writer to make the story come alive and this month we have three of our reviewed books that have been written and illustrated by the author. Its a great talent to have! We loved this book! The quirky drawings of colourful and fantastic shoes (and animals) kept our pre-schoolers entranced. 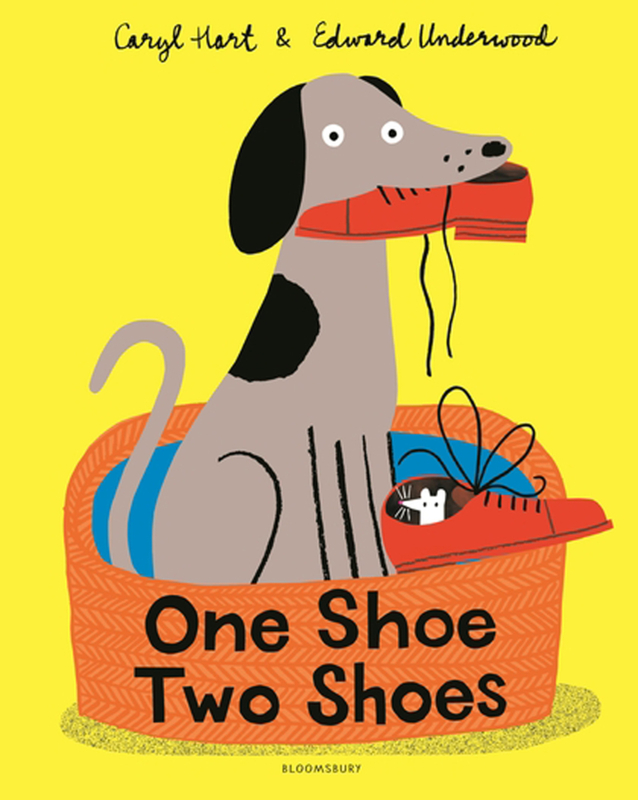 The wacky rhythmic text goes easily from page to page as the story develops introducing colours and numbers with a busy dog and funny white mice hiding (and playing) with the shoes – and with a shoe box! The author Caryl Hart is well known for her picture books and young fiction. She lives in the UK so ‘flip-flops’ needs a little translation. Edward Underwood’s funny illustrations bring the whole book to life. As the title suggests it’s Little Owl’s first day at school and the story follows along the line of the thoughts and feelings of many littlies just starting kindergarten or preschool. Little Owl would rather stay at home with his mummy and baby sibling but gradually mummy Owl entices him to preschool and Little Owl finds out that it’s actually a lot of fun. 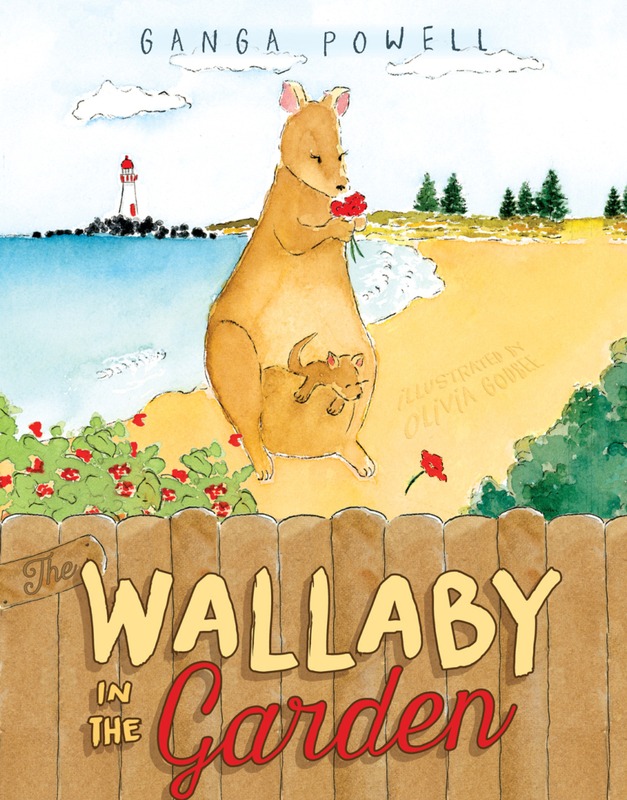 Full of rhyming couplets this multicultural story follows the effort of an extended family to keep a Wallaby called Dolly and her little joey named Pocket Rocket from eating the plants in their beachside garden. The rhythmic pattern of speech makes it an easy read-out-aloud book. The lovely water colour illustrations give the characters just the right facial expressions to show how they feel about Dolly and her joey! This is a sweet story about a lonely girl living in a lighthouse on a Greek Island. The island is based on the Greek childhood memories of the author. Anna escapes from her loneliness by rowing her boat or reading on inclement days. 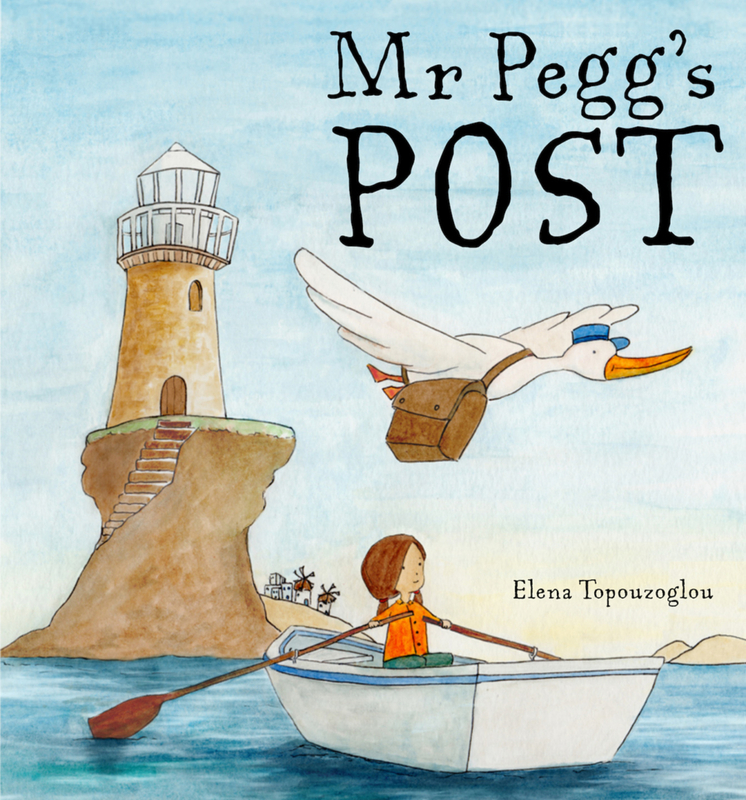 Mr Pegg the pelican, delivers the mail but nothing ever comes for Anna until things change after a big storm. Mr Pegg needs help. Suddenly Anna goes from having no friends to having lots of them! The illustrations by the author are a beautiful mix of watercolour and ink and evoke the bright sunlight of a Greek island. This is an unusual book and slightly disjointed in its flow. Two different children; two different personalities. ‘Lucy is creative. Lawrence loves numbers. Can they find the middle ground and stay friends?’ The themes are creativity, inclusiveness and special needs. 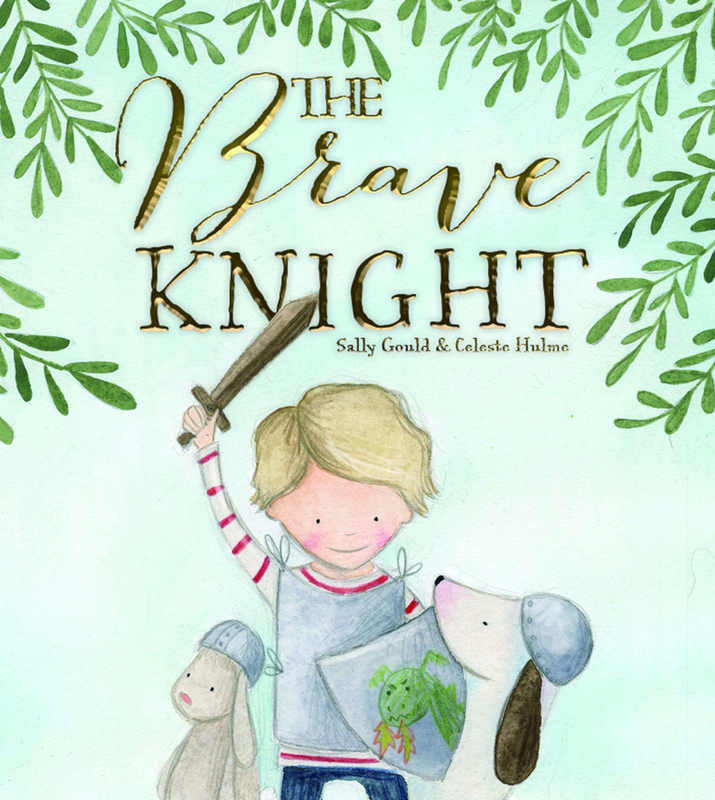 this simple story is about imaginative play as a knight protects his castle. The little boy is not named but guards his castle against imaginary ‘enemies’. We read this with a young 6-year-old who is just starting to read and it was interesting that there was so many English word that had silent letters to learn (knight, sword, castle). Bravery is another theme as our ‘knight’ defends his castle against his enemies (his dog and stuffed animals) from his tree house ‘castle’. Every small child will want a tree house like this one to defend. 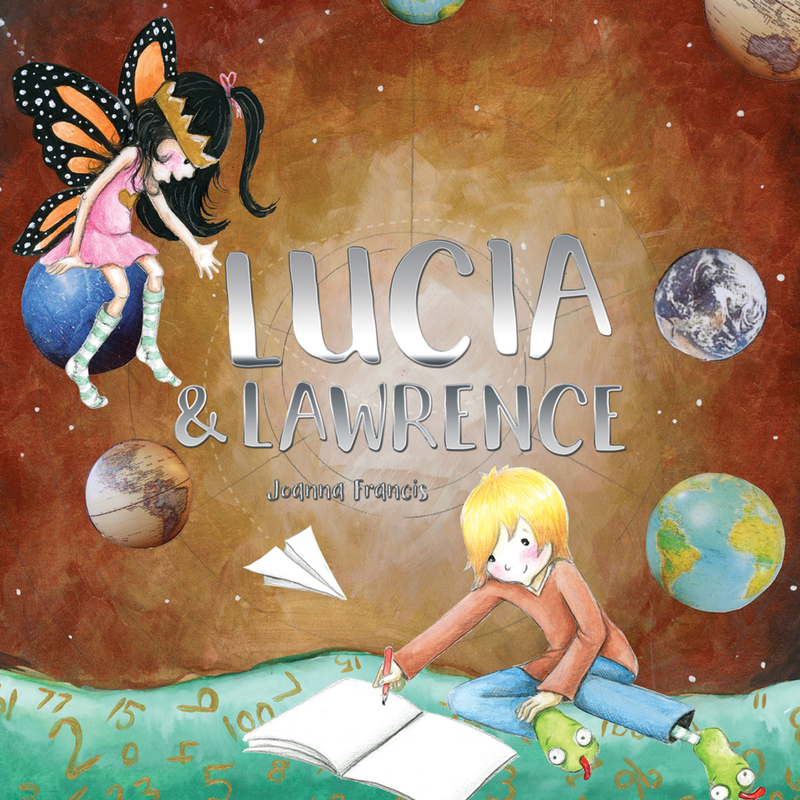 This is the fourth children’s book written and illustrated by the English writer Suzanne Barton. Her beautiful illustrations introduce the fairies who live in the Hideaway Tree in the Dappletree Woods. An explanation of what a fairy is for the very young could help as the delightful fairies fly and talk to the other animals of the woods whilst searching for a mysterious night time howling. This strange noise is keeping the fairies awake – the mystery is solved with the ending. Fleur McDonald is more familiar for her adult rural romance novels than her children’s books. 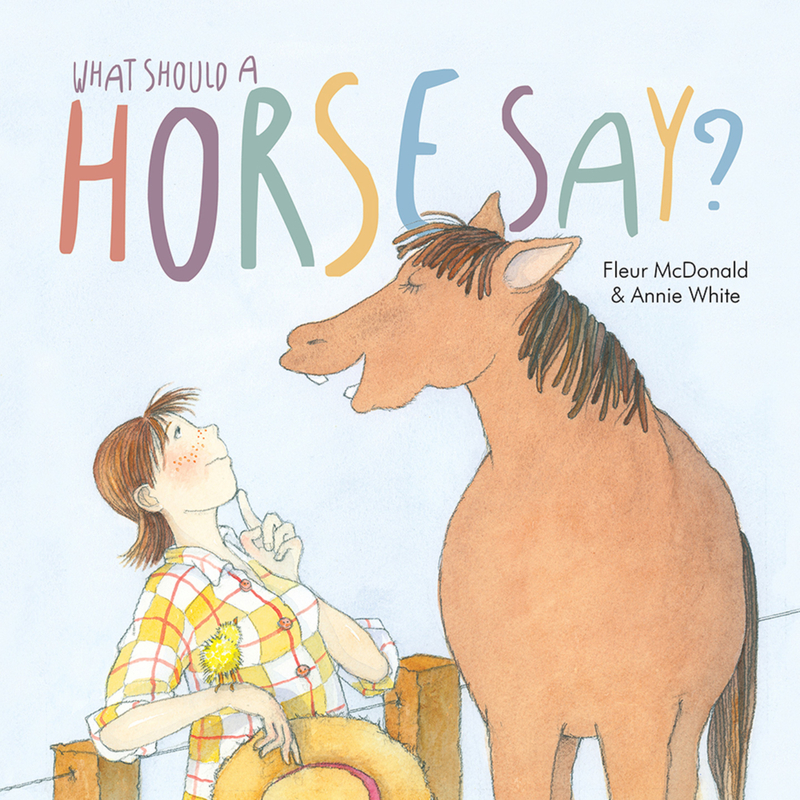 What Should a Horse Say? is her second children’s ‘rural’ themed book after Noisy Nights. The simple storyline uses the theme of the sounds the farm animals make except Farmer Rochelle’s horse which seems to have a problem! The vet is called finally, after all Farmer Rochelle’s friends are consulted. The horse makes the familiar sound that a horse should make after the vet provides some advice! The illustrator, Annie White has the illustrations just right. She has over 70 books to her name! Using line drawing and water colours the humans and animals (especially the horse) all have that cheeky look that children will love.